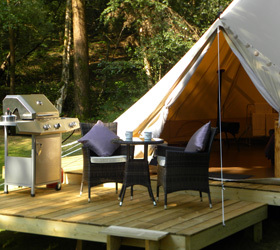 Glampotel are more than your usual glamping site; their tents are specially designed luxury canvas cottages and are located in the heart of the Dorset countryside. They come complete with hardwood floors, king size beds and hot-water showers. 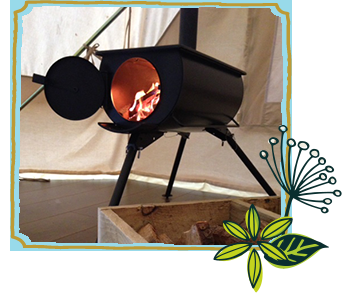 Wood burning stoves, kettles and gas powered BBQ’s in each ‘canvas cottage’, mean that even in the cooler months, you can be assured of a cosy stay. We can’t imagine anything more romantic than snuggling up by the fire with a mug of tea under the stars. 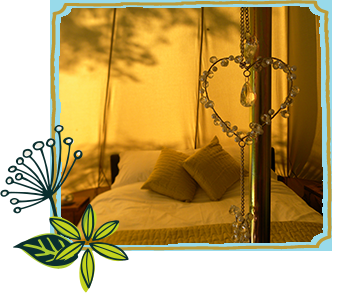 Nestled in Bere Regis and surrounded by 300 acres of ancient woodland, Glampotel is the best way to disconnect from our busy lives and get back in touch with the natural world. It’s perfect for a get away with the family, or a romanticshort break. We’re not the only ones looking forward to our next stay either; 17 out of 19 reviewers on TripAdvisor rated Glampotel as Excellent, and gave 5 stars for location, rooms, service and cleanliness. What could be a better way to discover all that Dorset has to offer; the relaxed lifestyle, beautiful surroundings and a touch of luxury camping.